Barska® 18 - 36x50 mm Blackhawk Spotting Scope with Tripod and Case. Big name quality, big - time VALUE! Cheap equipment just doesn't cut it. 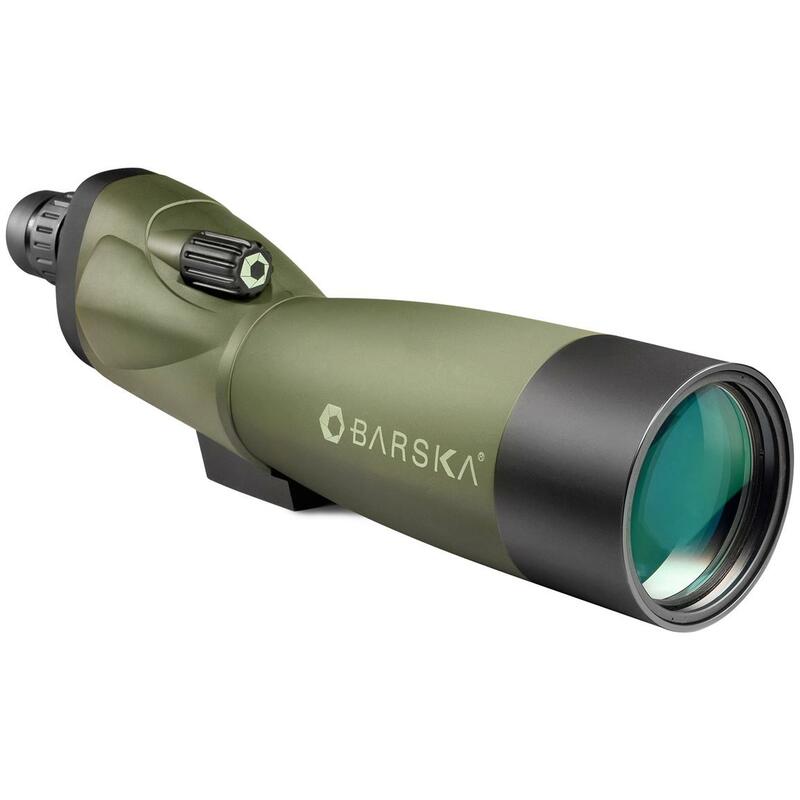 But the Barska® Blackhawk 18-36x50 mm Spotting Scope gives you a great price on full-function features you'd normally pay BIG bucks to get. Engineered with unsurpassed optical performance and durability by those who understand the harsh hunting conditions scopes have to endure. Designed for the discriminating hunters who demand only the best, this Blackhawk is the best value in its class. Approx. 12" l. Weighs 3 1/3 lb. Black / green matte finish. Barska 18 - 36x50 mm Blackhawk Spotting Scope with Tripod and Case is rated 4.5 out of 5 by 2. Rated 5 out of 5 by Heplar from Good Value I needed a spotting scope that I could keep in my shooting bag rather than using my spotting scope that I use for hunting. I was skeptical at first as I'd never heard of the brand before. What caught my interest was the fact that this had Multi coated lens. There was a larger objective model for a bit less, but it only had Fully coated lens. The multi coating helps make this a very clear scope. It worked well and I didn't need to run down range with binos to check my groups. 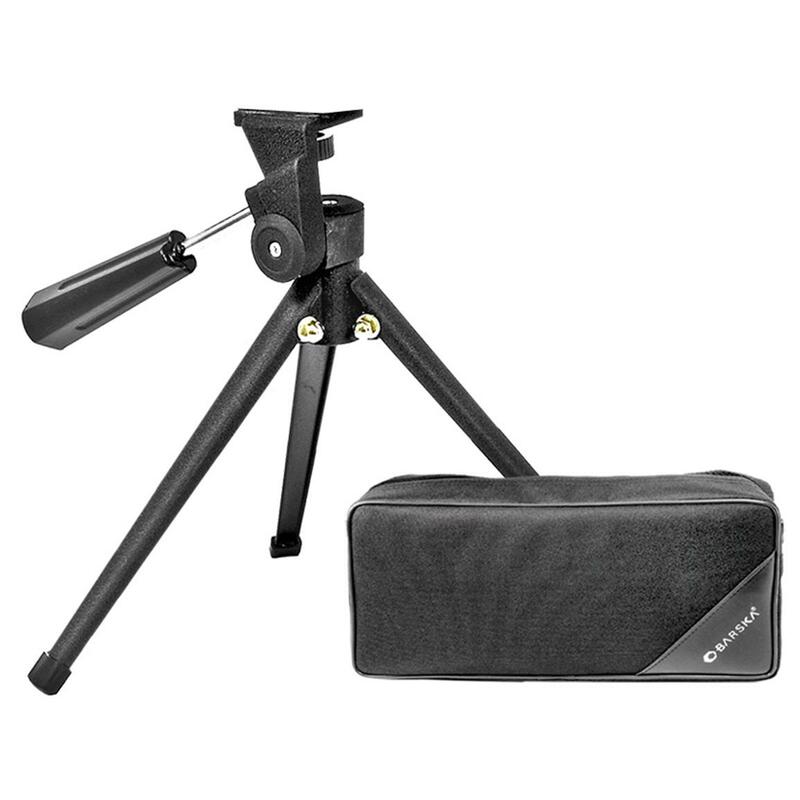 The tripod is a bit cheesy but, for the price, I wasn't buying it for the tripod or case. I think I'd even use it for hunting, as long as I didn't carry it in my pack like I do my old Bushnell from the 70's. That scope is as tough as nails. This one seems to be patterned very similar but with the Multi Coated lens. In the video provided, You can see I placed it on top of a much taller tripod. Rated 4 out of 5 by Ranger 51 from Good basic range scope Just bought this and used it at the range up to 100 yds. Worked fine for 5.56, could see shots clearly. Tripod is a little cheesy. Mounted on a camera tripod and was much better and easier.